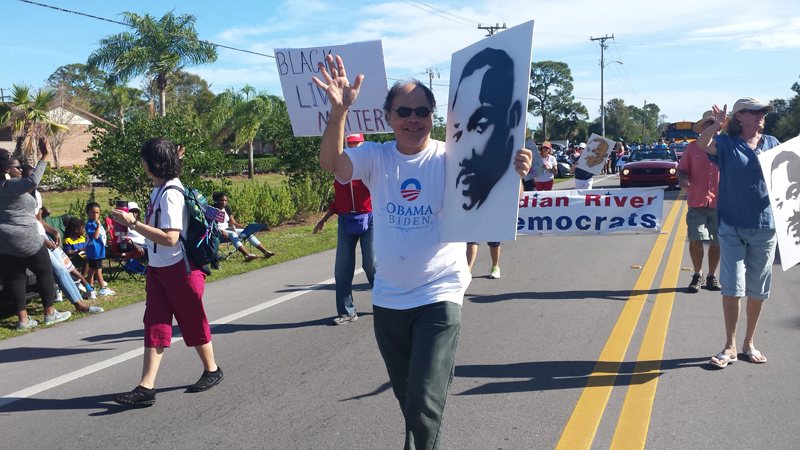 The Democrats of Indian River — the Democratic Executive Committee, the Democratic Women’s Club, and the Florida Young Democrats — proudly marched in today’s Martin Luther King Parade honoring the life of Dr. King with school children, faith leaders, congregations, fire and law enforcement, and county representatives. With the citizens of Gifford and others lined on both sides of 45th Street and 43rd Avenue, marchers shared words of equality, faith, hope, and love as they held signs and talked with the members of the crowd. The Democrats of Indian River are working for our working families and preserving Democratic principles. Join us. Be part of the solution. https://t.co/1qlOlAHEre Thank you IRNA for making this possible. Thank you IRNA for making this discussion possible.